I have always lusted after the We Are Handsome swimsuits, I love the unique fun and quirky designs of animals and most currently their parrot collection, it’s so very cool! The swimsuits will set you back roughly around £200 so if you aren’t a regular holiday-goer it’s quite a hefty price tag. I have come across this great version by George at Asda that will set you back a mere £12, can you believe that? 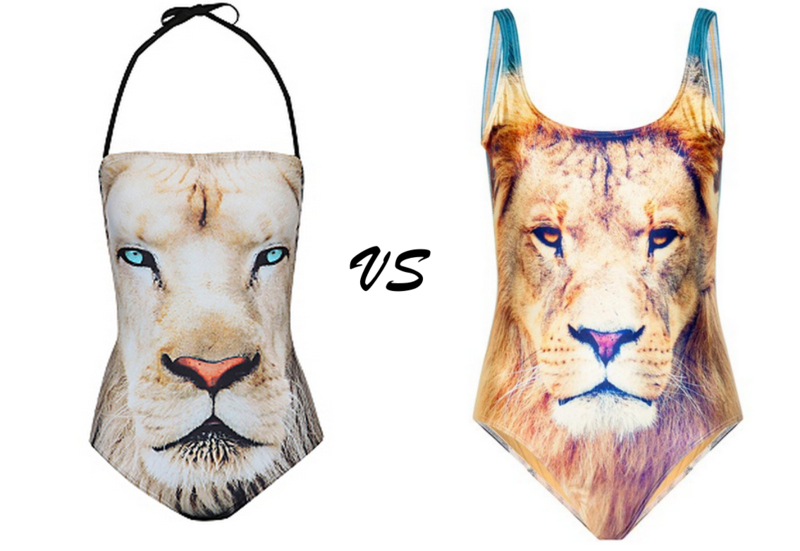 It has a similar lion design and also has a lovely halter neck. Will you be splurging or stealing?